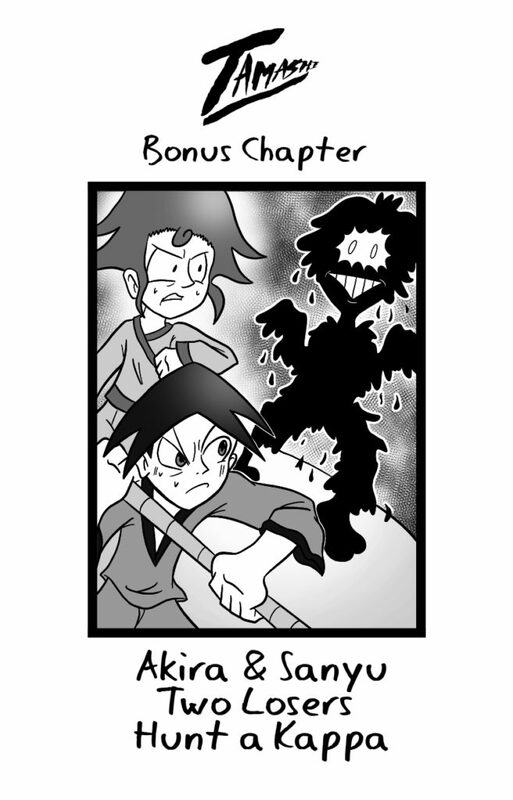 Bonus Chapter: Akira & Sanyu – Two Losers Hunt a Kappa is now Live! It’s time for the closest a Tamashi chapter can get to a Halloween Special. Akira & Sanyu, the two bright monk boys get involved in their own adventure. What surprises wait in the final Monk Boys bonus chapter? Read up and find out!